Email Keep me signed in Password Forgot your password? This is similar to what someone will see when they scan your personal QR Code. If you would like them to instantly see who you have in common on LinkedIn and/or Facebook, just connect these accounts to your Vizibility account on the Setup My QR Code tab. Make it easy for anyone to get to know you. 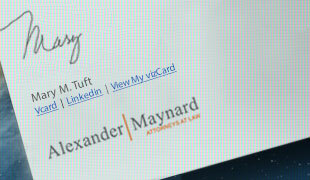 Your vizCard is a personal mobile optimized URL with key content about you and your firm. It’s the only digital and mobile business card that is instantly accessible from any smartphone without an app, and can be texted, emailed and downloaded for recipients to easily and accurately save your contact information. 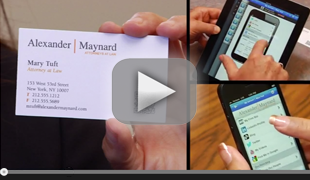 Make the most of your offline and online identity with traditional business cards and vizCard mobile business cards. Making a lasting impression just got easier with this dynamic way to connect. Watch the video. 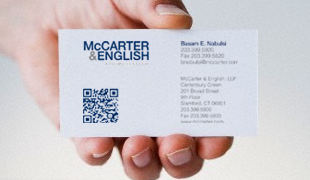 Share your vizCard and any vizCard in your firm’s directory of professionals by text message or a personal QR code. Get metrics on the use of your vizCard in the vizCard Manager dashboard. Adding your vizCard to your email signatures and online bios is an easy way to ensure your professional contacts always have your latest details. Your links work on all mobile devices and computers. 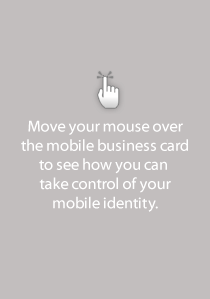 Take Control of Your Mobile Identity. Always in control with consistent branding. Make it easy to get in touch with one-click to call, email and text. Impress those you meet by making it easy to get and download your vCard. With vizCard’s CardFollow™ they can opt to receive an updated vCard whenever your vizCard changes. Control and share your web presence with an unlimited number of links to online content such as, your bio page, social media pages, videos, blog, news, events and more. Support cross-selling and make it easy to share the expertise of your entire organization in a searchable directory of mobile business cards. Make it easy for people to get directions to your office with a full address block, delivering customary contact information in an interactive, easy-to-read format. You can include an unlimited number of addresses, phone numbers, email addresses and languages to ensure your mobile business card is ready to share all your details at any time. An easy automated setup makes getting started a breeze for any professional or organization. Business accounts choose self-service or have us do it for you via our assisted set-up option. Your vizCard is branded with your organization’s logo and name making your offline identity consistent with your online identity. 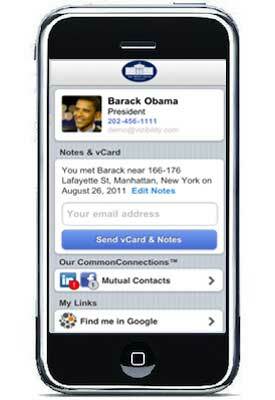 Text or email your vizCard to anyone in just a tap. Never be without your business cards again. Build instant credibility by sharing selected social and professional profiles bios, videos, blogs, news, events and more. Share your vCard, including the time, date and location plus any notes that may have been added by the recipient, to easily and accurately get into others’ contact lists. Include as many addresses, phone numbers and email addresses as you need on your vizCard. They will all appear in your vCard so your connections can easily get ALL your accurate details (including contact information in foreign languages). Display a searchable directory of vizCards for everyone you want included in your organization. 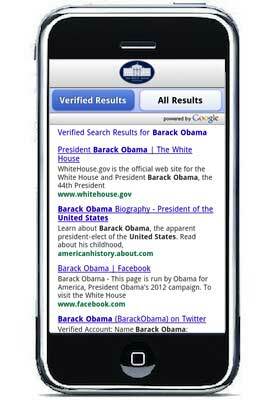 You can also link the to the directory URL from your mobile site. Manage your users and gain insight into how people are engaging your professionals’ vizCard with powerful administrative tools and metrics. Enterprise accounts can take complete control of their mobile strategy by using a custom domain name for the organization’s vizCard URL. viz.me is the default. CardFollow allows anyone who gets your vCard to follow your vCard and receive an update any time your details change. Make sure your contacts always know how to reach you. Save time, money and confusion by using the same rich vCard on your professionals’ web bio, email signature and more with a direct URL to their hosted vCard (.vcf) file. For more information call (866) 380-3400.